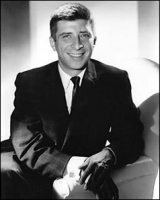 A pair of 1957 films starring Anthony Perkins, Fear Strikes Out and The Tin Star, very different films but united not just in their main star and their year of release but the man who composed their original music, the great Elmer Bernstein. Fear Strikes Out was the composer’s 25th score and came during a very important period for him, following not long after the two scores which did so much to put him on the map – the incredible The Man With the Golden Arm, one of the scores of the era which ushered in a new age of film music; and one very much still in the previous age, The Ten Commandments. In Fear Strikes Out, Perkins plays baseball star Jim Piersall, chronicling his mental breakdown and subsequent rehabilitation. Bernstein’s fine score is very dramatic, based around a powerhouse of a main theme. It’s very malleable – the composer gets it to be grand and uplifting at times, dark and tragic at others. The material most obviously associated with the breakdown contains that familiar film music device for dealing with such things, swirling strings mixed with jabbing brass for a hypnotic effect. There’s long-lined melody too, some sweeping moments – this is old-fashioned, full-bodied orchestral dramatic music which Bernstein did so well. I think “Piersall Collapses” is one of the great dramatic pieces of this composer’s brilliant career. The Tin Star was a western. Elmer Bernstein was pretty good at those, too. What it doesn’t have is the kind of barnstorming main theme that would become his trademark shortly afterwards in The Comancheros and The Magnificent Seven (and all the rest). It does have so many of the composer’s distinctive touches that distinguished so many films in this genre, though – bouncy rhythms, lilting love themes, a beautiful sense of the great landscapes. The score is a delight, and while the main theme may not be one of those great rambunctious affairs, it’s still a winner.